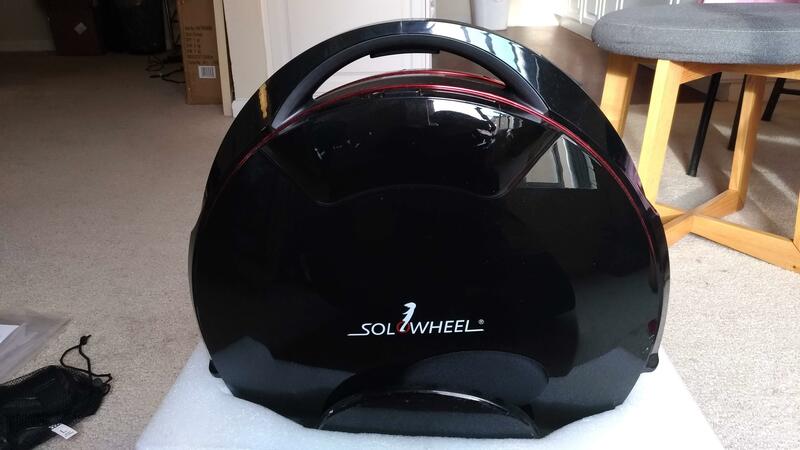 It comes with 1 year warranty, which lasts until mid June 2019. 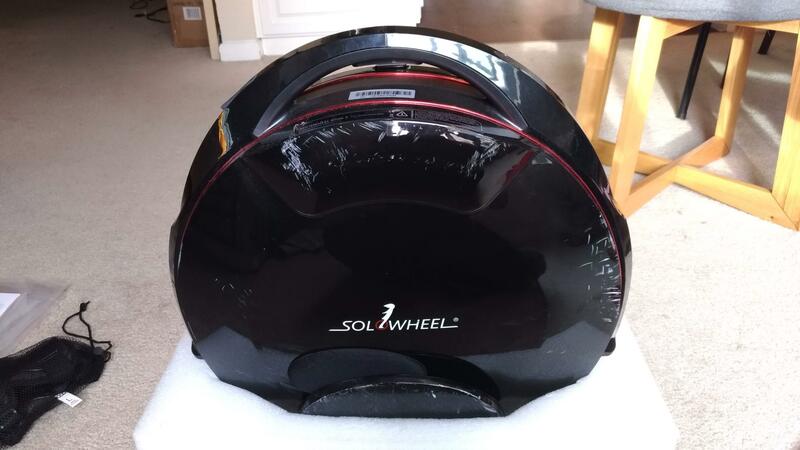 There is scuff and a small crack caused during learning but the wheel performs well without any issues. Selling for $699 (original price is $899). Shipping cost is added if you can't pick up. 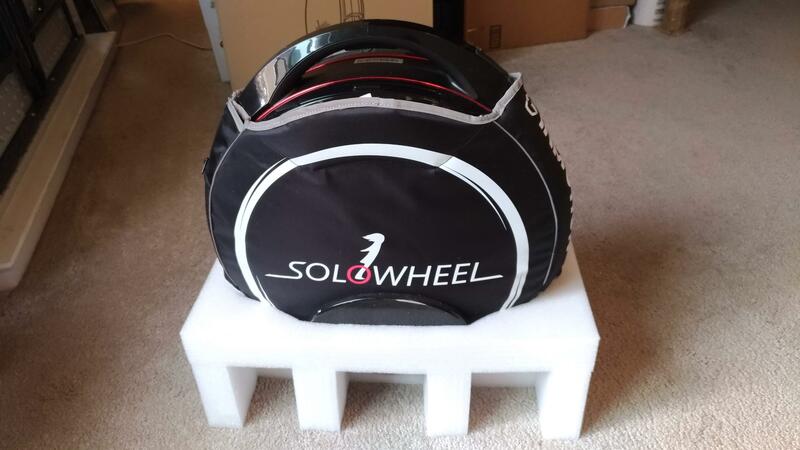 The wheel itself is 30 lbs (13.6 kg) so the whole box might be over 32 lbs. I am the author of the original post but it seems I don't have permission to edit the original post. I decided to drop the price to $599. Shipment can be made to the 48 contiguous states U.S. states with $80 ($679 in total). My name is Dan Smith, I'm from Philadelphia PA, and I'm interested in your wheel. I have not ridden one yet, and I am curious as to why you have lost the desire for it. BTW, I will be in SFO in mid February, if you haven't sold it yet I'd like to take a look at it and maybe buy it from you. BTW﻿, I will be in SFO in mid February, if you haven't sold it yet I'd like to take a look at it and maybe buy it from you. I am having hard time getting on the wheel safely or making a sudden stop in case of emergency. The place I live has a lot of uphills and downhills where pedestrian walkway is poorly paved, and I feel nervous about sharing the road with cars in such situation. Riding in spacious area or bike lane is enjoyable, though. If you haven't sold it by then, I'd like to stop and look at it when I get to SFO. I'll be staying in a neighborhood called SOMA, near AirBNB headquarters. I don't want to post my phone number here, but if you email me I will send you my contact information. I can't PM you since I only recently signed up for this forum. My email is dansmith@earthlink.net. I'll be in San Francisco from Friday, February 15th to Saturday, February 23rd, hope to see you then. Hi Jian, I can pick up the wheel this weekend. Is it still available? Sorry, it's sold to Phúc.